If you didn’t get here early, you missed out. All the “Forever Roses” for this year are gone. The last of the roses sold out before 10:30 a.m., about 2 hours after the doors opened. Dozens of people waiting in line went home empty handed. 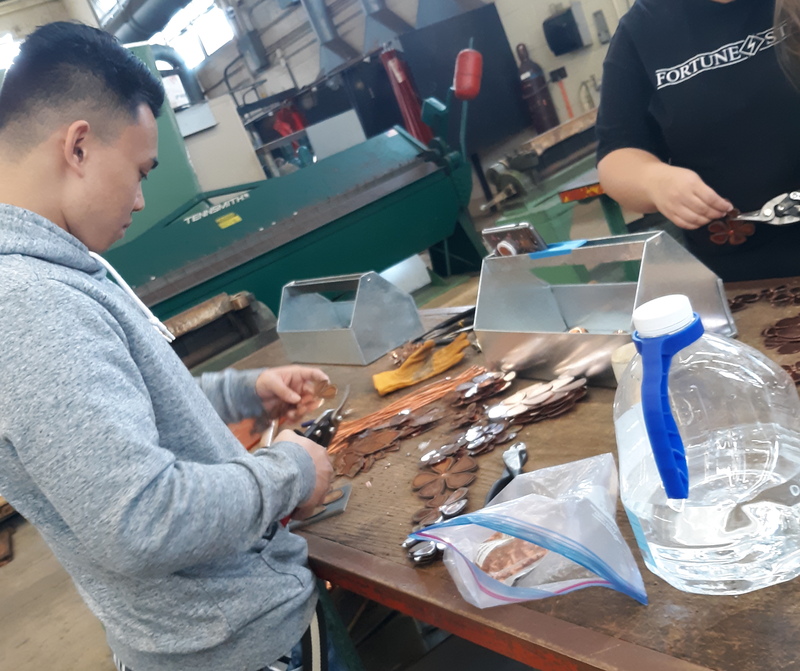 In what’s become an annual tradition, dozens of people were lined up on campus before 8 a.m. for the chance to buy the one-of-a-kind copper roses, popularly known as ”forever roses,“ from the from HonCC’s Sheet Metal and Plastics Technology program. Flower petals and leaves start as flat sheets of copper, which are cut using a plasma cutter and carefully molded into shape. Students assemble the individual pieces before hand-crimping each petal to give it a lifelike texture. “When I do these types of projects, I hear students say, ‘I can make that,‘ ” said Aiu, who is often credited with creating the “forever rose” craze at HonCC. “You let them use their imagination.Then they start seeing the talent within themselves to make other things.